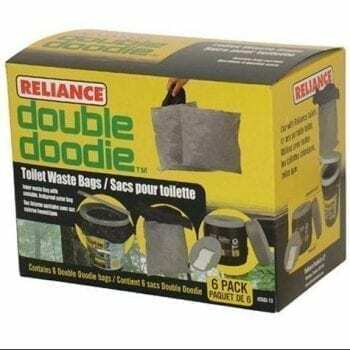 Double Doodie PLUS has all the great benefits and features of the Double Doodie, but with a larger holding capacity and a convenient carrying handle! 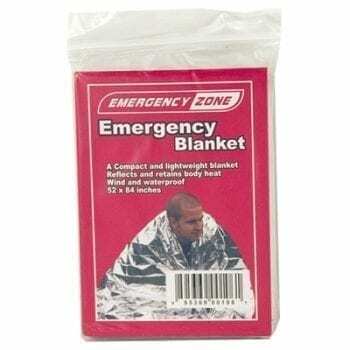 It’s even large enough to place over a household toilet in case the plumbing fails. These deluxe bags are also lined with biogel, a chemical compound that solidifies liquids and masks unpleasant odors. 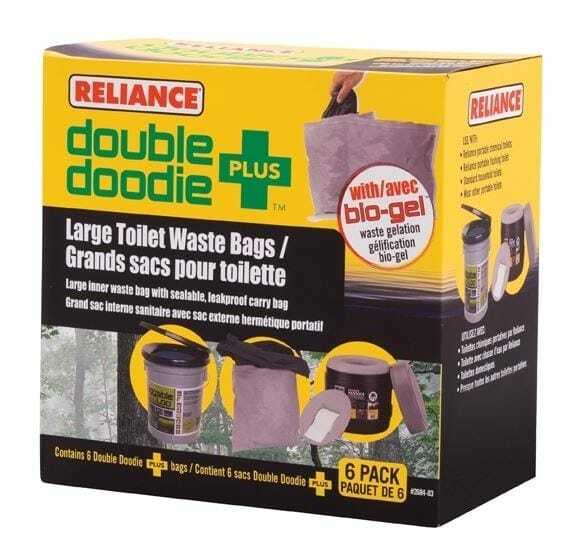 The thick outer bag is more resistant to punctures than traditional garbage sacks and the double zip seal will keep your waste contained.